I will be sharing gift guides on the blog every Monday into Christmas, so be sure to keep your eyes peeled! I wanted to start my first one with my very favorite category... all the cozy feels! This category is my favorite to gift and receive. 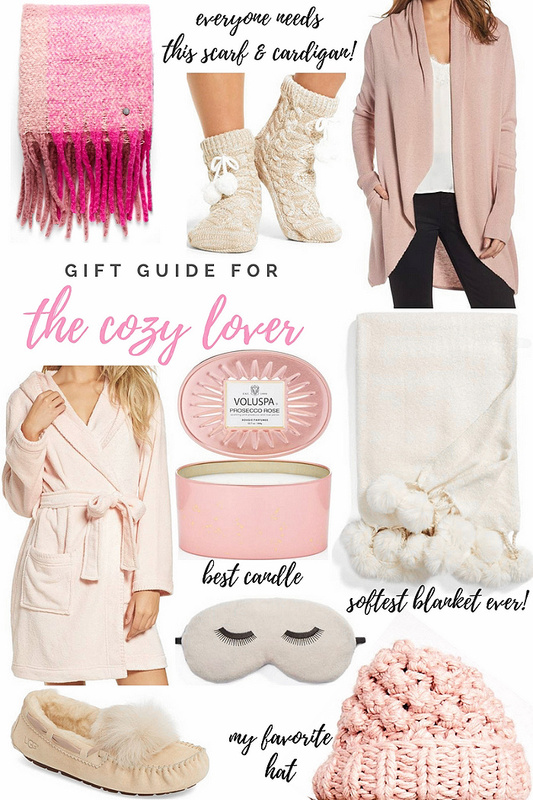 I mean, what is better than curling up in a cozy blanket, wearing fur slippers, with an amazing candle lit in the background?! Also, I went for the pink/neutral vibes... all of these items come in different colors if you'd like something different. Let me know what other items are must haves in this category! I'd love to add them on my list!